The paper is good for multiple layers of relief and intaglio and has fantastic embossment potential. The paper is ideal for Solarplates, especially when printed dry in combination with water based or oil inks. 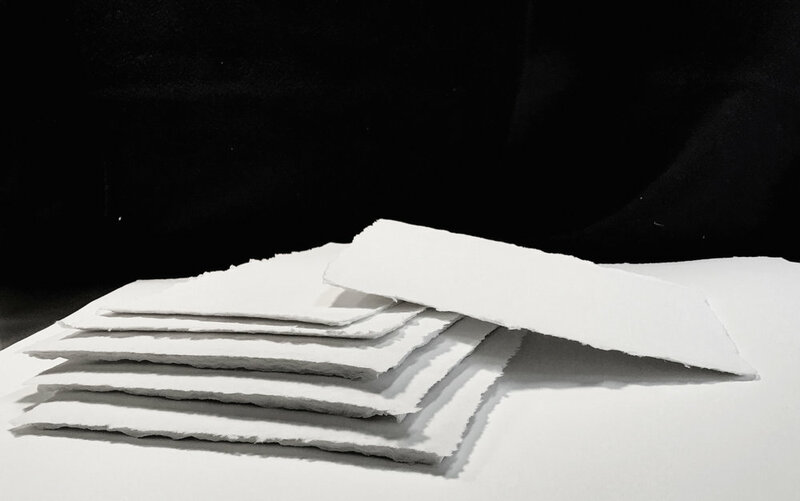 White Crow makes each sheet meticulously by hand with cotton linter fiber, kaolin, and calcium carbonate and may be ordered with sizing if needed. Calendared to a thickness of about 1/4 inch the unique bright white paper can create a ‘difference’ for many works of art. With four sides having a true ‘deckle’ and each sheet being uniquely and hand made, slight inclusions may occur.